In the realm of health, wellness, fitness, and the like, or whatever inspires me. I teach Nia, yoga and stretch! SIX group classes a week! Please see my website for details! I sub for the City of San Jose and the YMCA so check my website for dates and times! I am also available for private Nia / yoga / Personal Training! Chose a month above to visit archives, or click below to visit a page. The days I have posted are highlighted, you can click on one. These bloom every year. They are so beautiful. My husband’s mom gave them to him to look after while she was away. Sadly, she was not able to return to take them back. They are a great reminder of a beautiful mother. This was taken at the end of April. They stayed until the middle of May. 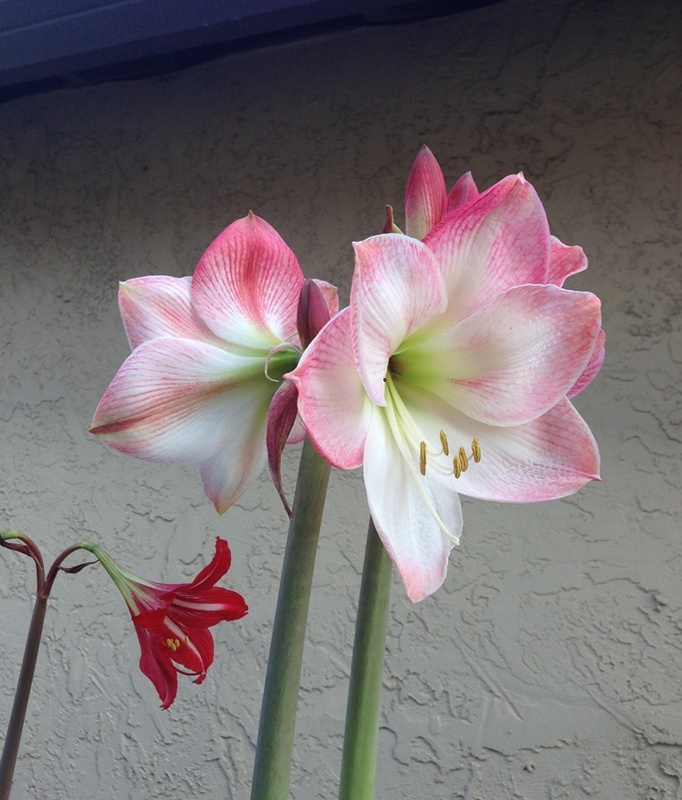 Amaryllis as the Friday Photo.